This year, the Universal Declaration of Human Rights turns 70 years old. 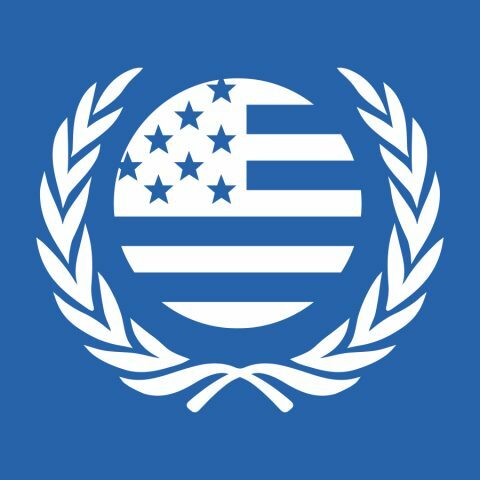 UNA-OKC wanted to celebrate this momentous occasion with you all during our annual UN Day celebration on November 3, 2018 at Will Rogers Gardens from 12:30-2:30 pm. The Universal Declaration of Human Rights (UDHR) is a milestone document in the history of human rights. Drafted by representatives with different legal and cultural backgrounds from all regions of the world, the Declaration was proclaimed by the United Nations General Assembly in Paris on 10 December 1948 (General Assembly resolution 217 A) as a common standard of achievements for all peoples and all nations. It sets out, for the first time, fundamental human rights to be universally protected and it has been translated into over 500 languages. It remains one of the most highly translated books in modern times. We at UNA-OKC believe that human rights start right here at home. It starts with individual action that improves the lives of those living in our local communities. We have people right here in Oklahoma doing the toughest work in the most needed places. It’s educators, community organizers, civic organizations, healthcare providers, agricultural providers, and many more. It is the person living next door to you. With each of us lies the opportunity to have an impact on our community. Evelyn Mary Aswad is a Professor of Law and the Herman G. Kaiser Chair in International Law at the University of Oklahoma College of Law. She is also the founder and director of the College’s Center for International Business & Human Rights, which is the first center of its kind at a U.S. law school. The Center’s mission is to prepare College of Law students to address the growing human rights challenges faced by U.S. companies operating abroad and to provide academic think tank expertise to influence positively contemporary international business and human rights issues. Professor Aswad also provides advice on human rights matters to the U.S. Department of State through her service on its Advisory Committee on International Law as well as its Stakeholder Advisory Board on matters of responsible business conduct abroad. From 2013-2017, she served on the Council of Europe’s Commission for Democracy Through Law, which is an expert body that issued opinions on a variety of human rights and rule of law matters with regard to countries in Europe and the Middle East. As a College of Law professor, she has also spoken about her human rights law research at venues ranging from the United Nations in Geneva to Stanford University in Palo Alto. Professor Aswad has brought numerous senior officials from the United Nations, NATO, the U.S. State Department, and international human rights groups to speak at OU Law and has taken her students to international human rights meetings in Central America, Europe, and Washington, DC. She has created a variety of cutting edge international law courses, including a course in which students provided academic research assistance to non-governmental organizations that help vulnerable communities in Africa, the Middle East, and Europe. She also led a group of students in conducting a pro bono legal research project about ISIS atrocities occurring in Syria and Iraq. She has helped her students obtain human rights internships at the United Nations, the U.S. State Department, and with international NGOs. Professor Aswad was named outstanding faculty member by the College of Law’s student body in 2014, received the university-wide Boren Award for Global Engagement in 2016, and was awarded the World Experiences Foundation’s Global Citizen in Law/Politics Award in 2017. Prior to joining OU, Professor Aswad worked at the U.S. Department of State for about 14 years, most recently as the director of the legal office for human rights and refugee matters. She served as the legal adviser for U.S. government delegations to numerous international negotiations at the United Nations, the Organization of American States, and the Organization for Security and Cooperation in Europe. She also taught international human rights law and multilateral negotiation techniques to U.S. diplomats at the State Department’s Foreign Service Institute. In addition, she taught international courses at Georgetown University’s School of Foreign Service as well as its Law Center as an adjunct professor while she was living in Washington, D.C.
We are very much looking forward to hosting Dr. Aswad. Please join us for a silent auction, an engaging discussion followed by a question and answer period. Food and refreshments will be provided. Tickets are $15.00 for students, and $20.00 for adults and you can order your tickets here. If a scholarship is needed please email us at unausaokc@gmail.com. If you’re able to donate more, please do, as we will use it to cover individuals who want to attend but require financial assistance. UNA OKC is dedicated to accessibility for all and no one will be turned away. People can also pay cash/card at the door the day of the event.